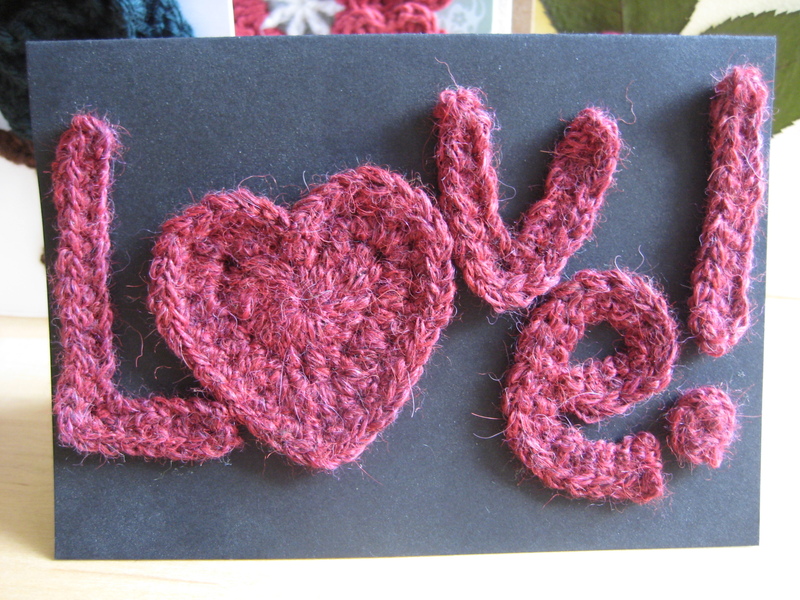 Sometimes I don’t have quite the right “focal point” for a card I want to make. 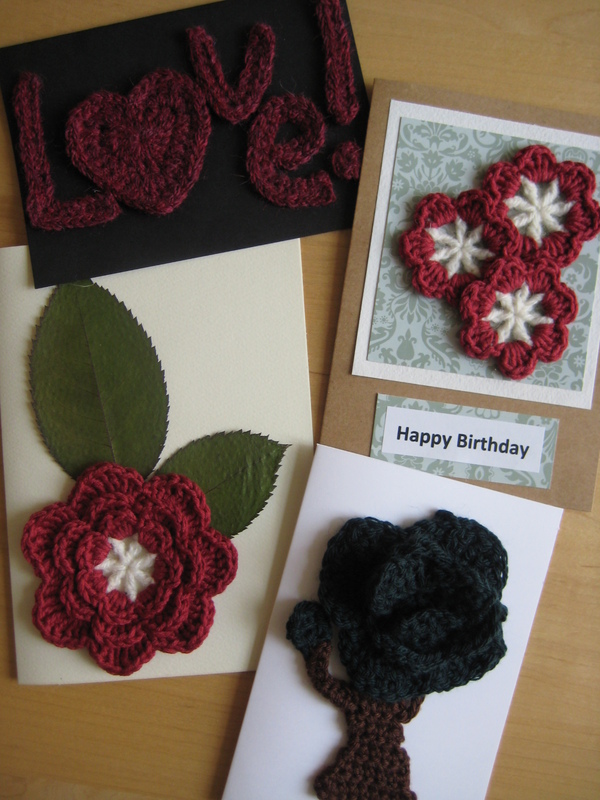 Recently I have been using my crocheting skills to make cards like these which are 3D, but also post friendly as they can get squashed through the Royal Mail’s 5mm slot without being damaged. I did the tree for my husband for our wedding anniversary. Apparently 5 years is wood (we have a way to go before we get to sparkly things like ruby and emerald!) so this was my take on it. 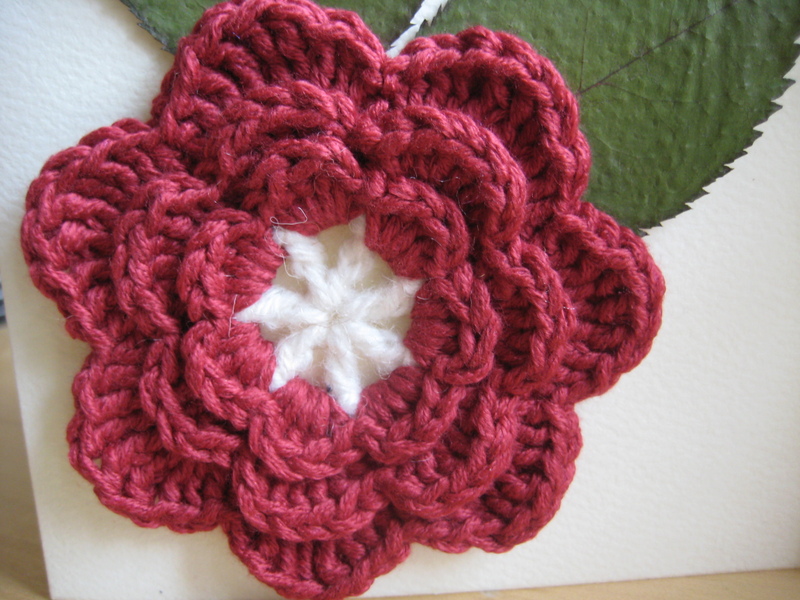 I have also done a house for a new home card, and use this flower pattern fairly frequently. If you like the heart I got the pattern from Planet June, a crochet blog with some great tutorials. 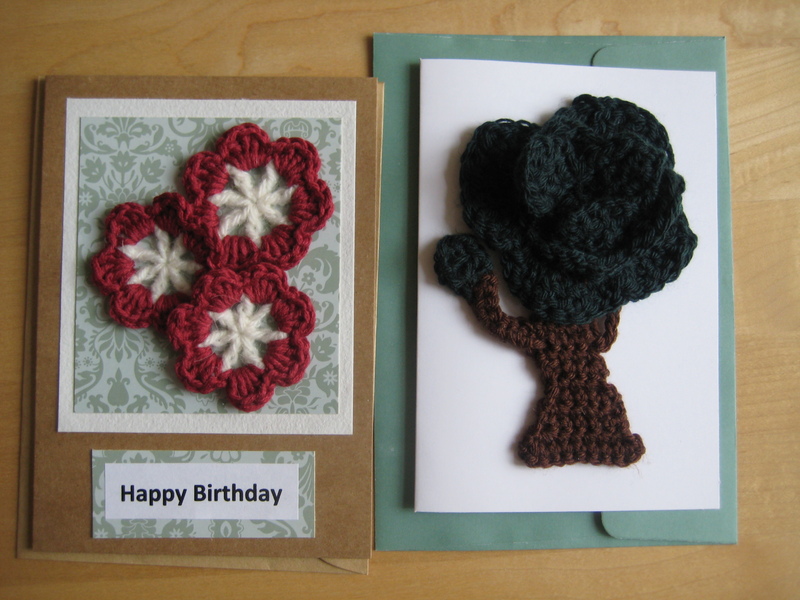 I did the tree and the letters in what I call “crochet freeform” (i.e. without a pattern). I think this works well for something organic like a tree and if I try and make anymore they will always be different to each other!